S&P upgrades Israel’s credit rating to AA- with a stable outlook. Kahlon: We will continue to lead a responsible economic and social policy. Financial services company S&P on Friday upgraded Israel’s credit rating to AA- from A+ with a stable outlook. The company said in a press release that the upgrade was due to an improvement in the Israeli government's fiscal policy. S&P predicted that the Israeli economy will grow by an average of 3.3% between 2018 and 2021. The main growth factors in these years are expected to be private consumption, continued investment by corporations, and strong performance in the export of services. The company also pointed out that despite divided local politics, the coalition successfully approved the two-year budget for 2017-2018 and then also approved the budget for 2019. In addition, analysts have in recent years seen a growing commitment to fiscal discipline, together with the government's compliance with its budget targets. S&P also stressed the importance of the multi-year expenditure agreement with the Ministry of Defense, which in previous years was a source of increased expenses. Finance Minister Moshe Kahlon (Kulanu) welcomed the announcement. "The confidence in us expressed by the strongest economic bodies in the world allows us to continue to grow the economy and, using the fruits of the growth, to maintain a policy of narrowing social gaps and strengthening the middle class and the weaker sectors of society,” he said in a statement. “Upgrading the credit rating to AA- will save us billions of shekels in funding expenses which will be directed to the health, education and welfare ministries. 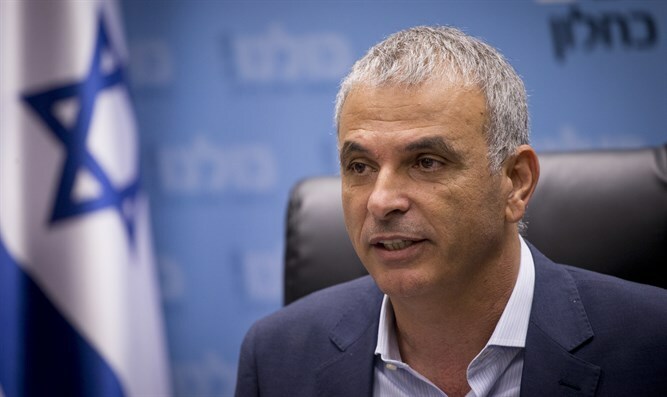 We will continue to lead an impartial and responsible economic and social policy that places the Israeli citizen at the center," added Kahlon.